Discussion in 'Manchester United Forum' started by GE, Feb 8, 2018. Anyone feel that ‘it is written’ that we’ll win the Champions League this year? 60 years after the tragedy in Munich. As you all know, we won it on the 10th anniversary (1968), 40th (98/99), and the 50th (2008). I know those Busby Babes are shining down on us... we’re gonna do it! I lol'ed hard but what the heck its on! This will be like the 20th and 30th times. Nah, I don't have that vibe. Would be good if we could though. I don't feel it, no. But it would be great though. And I would literally run naked through my neighborhood if that happened. You have my word. No. Would love it, obviously, but no. Well it was on until this thread jinxed it. It's a lot closer to possible with Alexis now and we certainly set ourselves up well winning the Europa League last season. Buckle up. feck it! You’ve convinced me. I’m off down the bookies with me house keys. Is this Destiny 1 or 2? Because the second one was pretty bad. Would also tie in with Mourinho's second season. 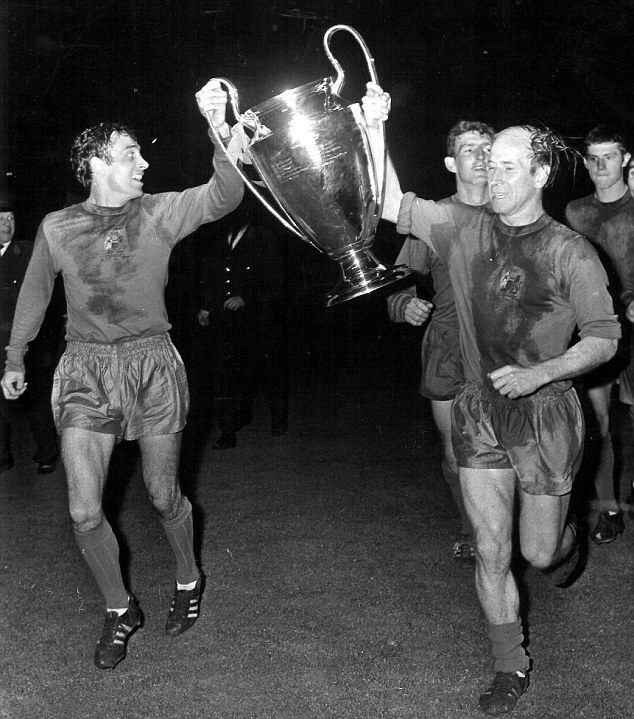 We won the Champions League less than a year and a half after the 40th anniversary, that is destiny. Not sure this team is up to it yet though. This is the kind of positivity and fecking thread I can get behind! Lets fecking have it! If the draws are kind to us we can definitely win this year, no doubt. Yep, Jose's style might be a bit boring most of the time in the prem, but it's perfect for the CL, and if we can get lucky with the draw then I reckon we've got a great chance. I admire your optimism. I don't share it though. I do not subscribe to your worldview of things like these being written and us being able to feel it. Though I wouldn't mind a similar end to the season as last year, with Jose neverminding all fixtures but the European ones, if it were to make it happen. The 99 one was 41 years not 40. The odds are against it.... like they were heading into the 93rd minute of the final in 1999. While you're still in it you're not out of it! No. If we had a decent midfield, then maybe. Yes of course we can do it! We just have to believe in the team! Come on United! In all seriousness though Mourinho's record in finals is unbelievable, so if we make the final I'm adamant we'd win it, if we can get past a team like barca in the quarters, then I'd be confident in us going all the way. If we are gonna go all the way, I'd love for us to do it the hard way. I maybe wrong but 1999 was 41st Anniversary. No, I don't think we will win it. But no, I don't have any real optimism, there are too many teams who are better than us. Sevilla should be an interesting test. Would be a fitting tribute but its going to be difficult. In 2005 Liverpool fans clutched every sign possible to 1977 the first time we won it. Diedre Barlow got married in Corrie. Wales rugby won the grand slam . Something to do with the Queen and of course the 25th May. Came into this thread thinking, NO, NO, NO, but what the feck! Let's do it! Nope. I thought we would in 98/99 but I don't have any feeling we'll win anything this year. When Beyonce left Destiny's Child they went downhill. When people talk about destiny for us we inevitably go downhill. Thanks dad! It would be just perfect considering our struggles in the past few years. We'll breeze through Sevilla but PSG, Madrid, Barca, Juve and so on are not such an easy task but nothing Jose has not seen or beaten. If we really put our heads together, we can go all the way! You are having a laugh. It's barely even a sequel.